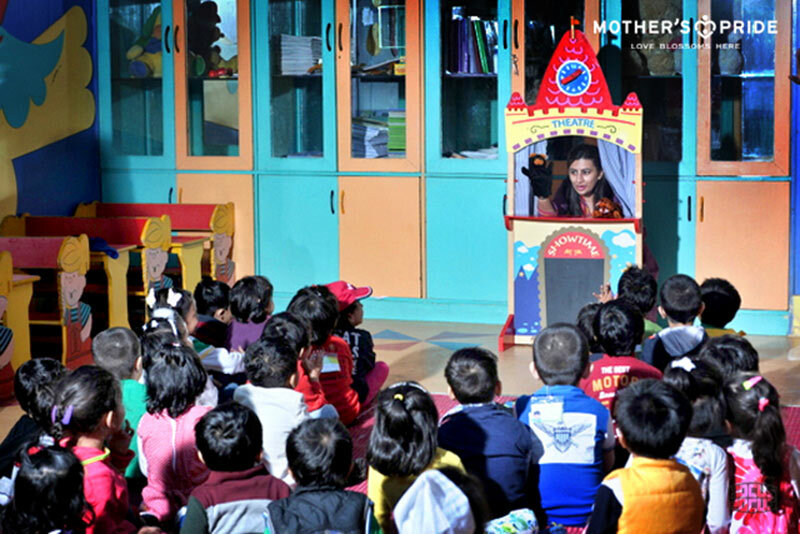 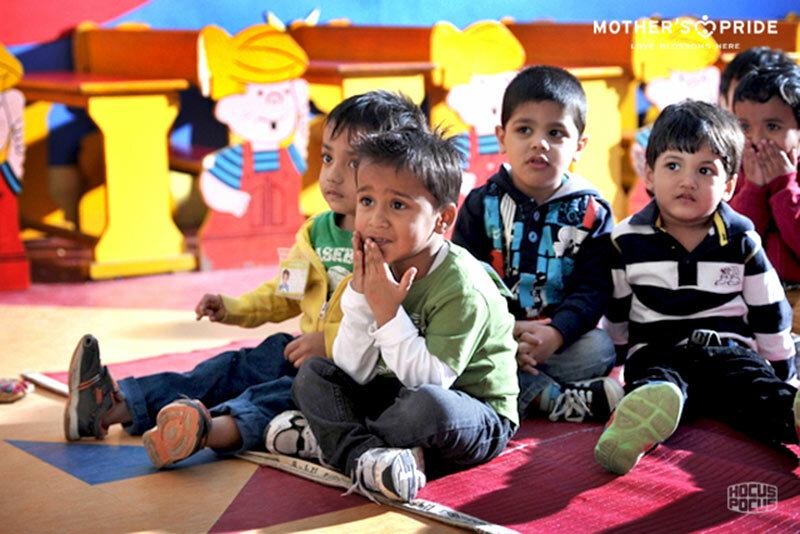 A story telling was organized by the teachers at Mother’s Pride school to introduce children to the world of imagination and also encourage them to express their thoughts. 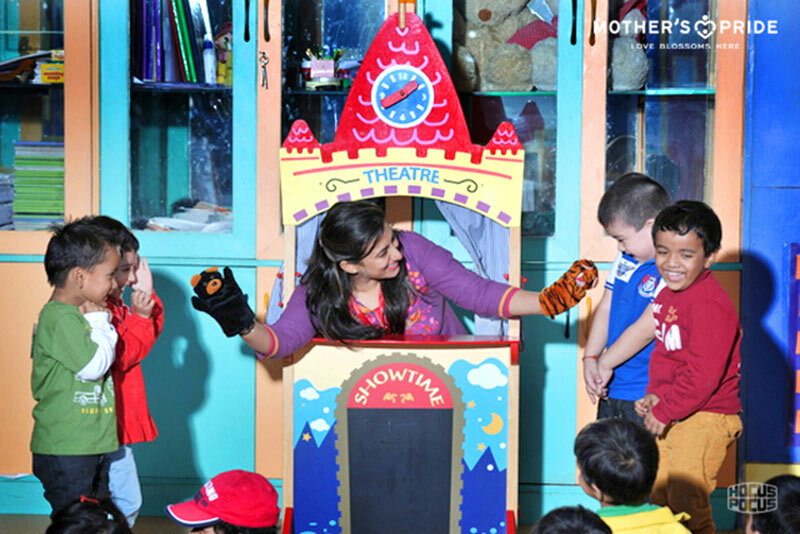 A small theatre was set-up in the classroom, where the teachers narrated the story of “Lion and the Mouse” from behind the curtain, using various colorful hand puppets and modulating their voice to make it enjoyable for the children. 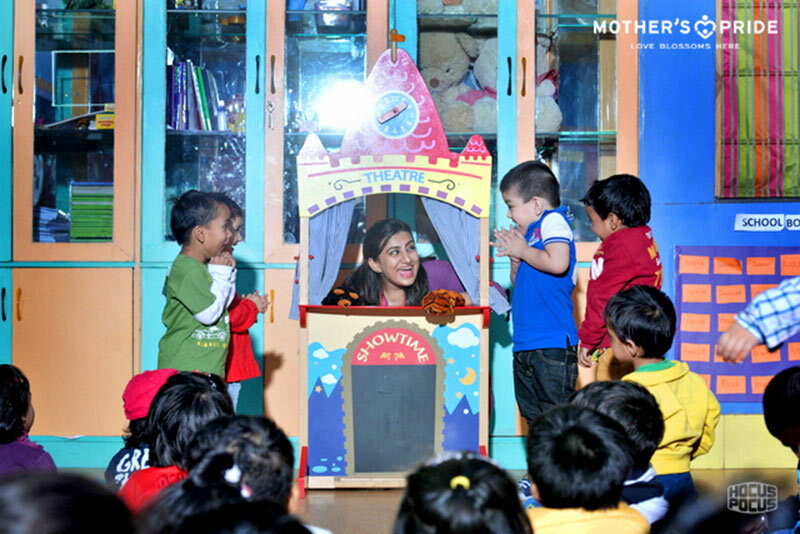 The story was narrated to the children and they were shown the sleeping lion, how he got disturbed by a rat and how the rat helped the lion later to come out of the net. 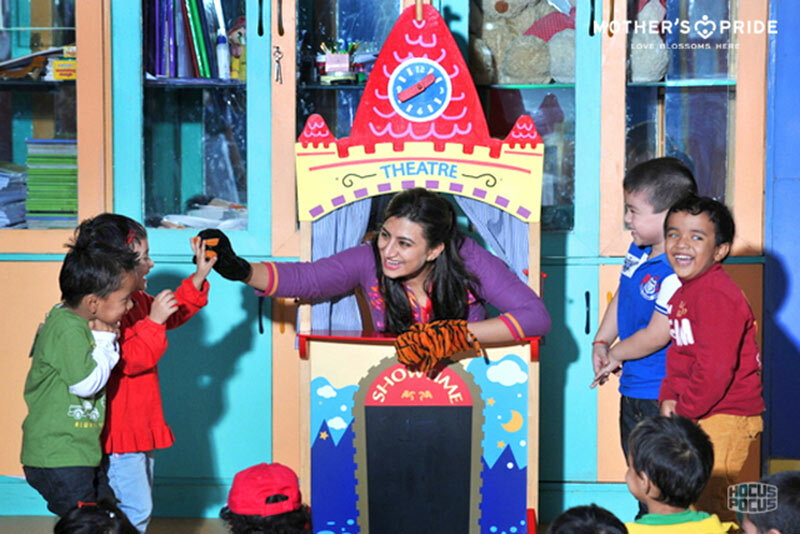 All this was shown by using puppets, voice modulation and several other props. 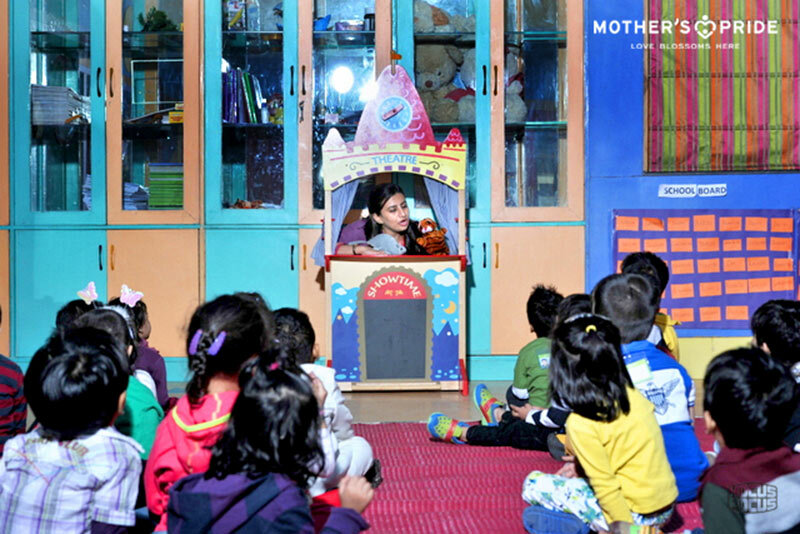 Story narration session helps children to learn new vocabulary and develop their listening, speaking and comprehension skills. 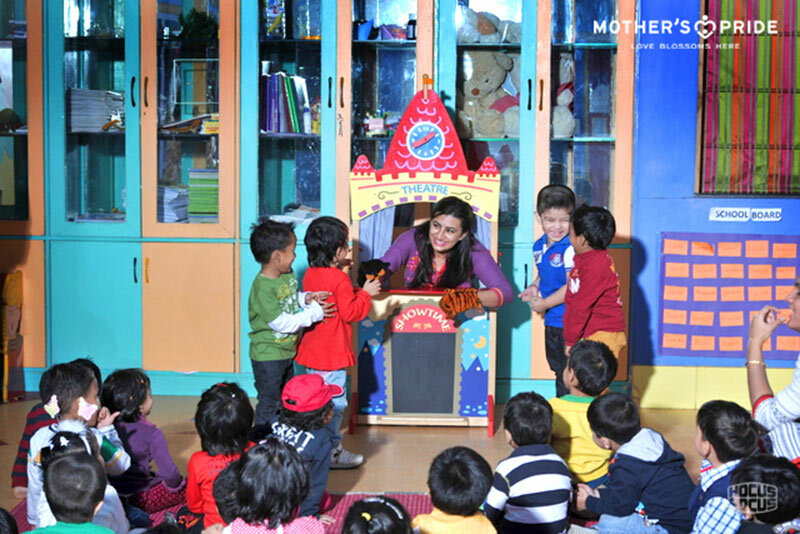 They thoroughly enjoyed the entire session.